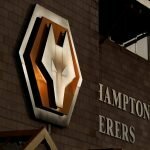 Wolverhampton Wanderers launched Episode Six of the Old Gold Club the other day and former player Karl Henry discussed his role as a ‘players’ captain’ in this week’s instalment. Episode six premieres on Wolves' Facebook and YouTube channels at 6pm today. The 35-year-old represented five clubs during his 18 odd year career as a professional and having come through Stoke City youth system, Wolves provided him with 272 of his 568 career appearances and seven of his 12 goals came our way as well. Henry was contracted up to Bolton Wanderers until last summer and featured against us for them in both games last season and I tend to think even though we took six points, the blow would’ve been softened as he saw us rise back into the top tier in the game. The above clip says it all really but I particularly loved the following reactions. So true! Proper captain???????? could never back down from a debate either! ???? True Captain @karlhenry08 was for us, and he represented the players 100% and gave nothing less throughout his time @Wolves . Have to agree with the boys Karlos! was the debate king and there was only one winner ???????? Maybe it’s just me being devious but none of them actually denied he could be a pain in the backside! Hey! What do you mean!! What you trying to say?! ???????????? He rightly came in for praise from some fans as well on social media who continue to remember him and his efforts extremely fondly. Just like the PR seems to forget there was football before the Premier League, it needs to be remembered (by the more youthful) there was a Wolves before Fosun and a squad always needs different types of players to make the team tick and that’s why plenty love Henry.